Rockstar has received lots of questions from the community about what is in store for the future, including the highly anticipated launch of Online Heists which was discussed yesterday. Today Rockstar has a new installment of their Asked & Answered series that addresses those and many other frequently asked questions they've seen recently. If you've got a question for them feel free to hit up [email protected] and they'll do their best to provide you an answer. Absolutely not! We are excited by the response to our first effort at a first person experience, but remain committed to third person games and may or may not use first person as a camera option in the future. We do like to, whenever possible, give people options so they can play a game the way they like. As we’d mentioned in our recent interview with IGN, First Person Mode is a new feature that is only technically possible for us to add to the game with the expanded memory that the new generation platforms provide. There are thousands of new animations added to the game to facilitate First Person Mode, which would have been impossible to do on the previous generation of consoles without seriously compromising the game in some other capacity. We aren’t ready to give an official release date yet, but we are confident they will be ready early in 2015. As you may have read on IGN, Heists were a much bigger challenge to create than we had originally anticipated. Early versions were simply not good enough and had to be scrapped more than once as we honed in on how we thought they should work. We’re happy to say that the pack we are now finalizing is something we are excited by and eager to release as soon as it is ready. We, as a company, have always been about trying to make something that is good rather than hitting a date. We apologize when this gets frustrating but firmly believe that rushing out second-rate content does not do anyone any favors. Hopefully you agree that yesterday’s new Trailer is a sign that Heists are shaping up nicely, but we still need some time to fine tune them. Because we need a little time to get Heists right, we are going to give you a small Christmas gift to keep you entertained until we are done with them. Tight coordination and teamwork will be necessary to fight your way to a big score. Tools of the trade. 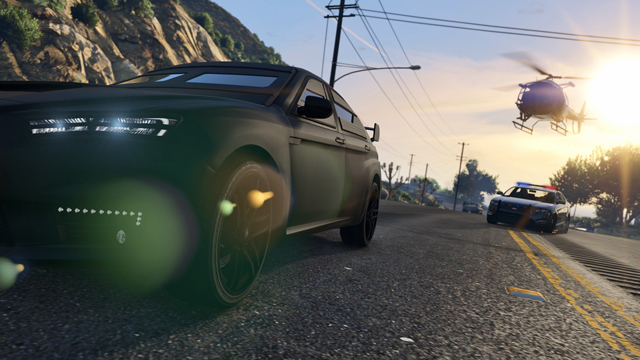 There will be new vehicles including the armored Karin Kuruma. 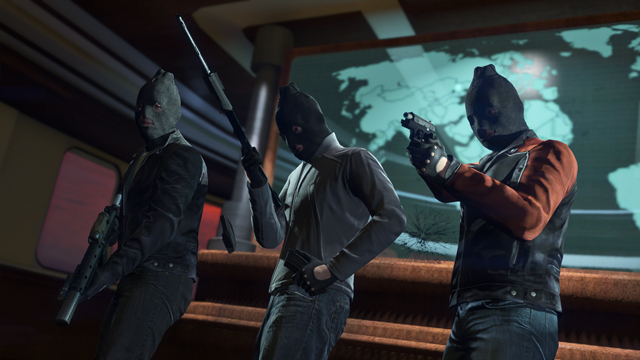 As previously confirmed, GTA Online Heists will be available to play on all four consoles: PlayStation 3, PlayStation 4, Xbox 360 and Xbox One – as well as for the PC. Hi BlackWolf, certainly not as players on PS3 and Xbox 360 can look forward to Online Heists and other updates that are in the works coming soon. We are incredibly thankful to our original generation of GTAV and GTA Online players on those systems and wish to continue providing content to them for as long as we can. Of course, at some point in the future, there may be a point where we reach the limits for the previous generation of consoles as there may be some updates that are only technically possible on the new hardware – but we do hope to continue delivering as many updates as we can for all four consoles for as long as possible. We prefer to keep such things as a surprise, but without giving away any details (no peeking under the tree! ), we can say that we do have a few seasonal treats in the works for players on all four systems to enjoy this coming holiday season in GTA Online. Look for details on that very soon. We know that there is a never-ending community wish list for new content to be added to Grand Theft Auto Online. Not only do we truly appreciate that, as we’ve always said that the evolving world of GTA Online is as much yours (the players and residents of Los Santos and Blaine County) as it is ours – but we also need it and rely on it. Please keep your most wanted new features, updates, changes and tweaks coming via email to our official inbox at [email protected]; we are constantly checking this feedback for ways that we can improve the game. To date, your feedback sent there has been invaluable in helping shape the game to what it is so far, and we look forward to the collaboration continuing strong in 2015 and beyond. We absolutely love being able to push the boundaries of what can be done in a dynamic online world like GTA Online, but certain things are not technically possible right now and this is one of them. Unfortunately, there is no technical way that we could enable players to play in the same lobby with one another across different types or generations of game consoles. It is also impossible to enable PC players to join console-based lobbies. It’s wonderful to see so much excitement and enthusiasm for the Red Dead series, and nearly 5 years after Red Dead Redemption’s release(!). As we’ve mentioned when asked in the past about new games in other series such as Red Dead Redemption, Bully and L.A. Noire, we don’t always rush to make sequels, but that does not mean we won’t get to them eventually. We have so many games we want to make and the issue is always one of bandwidth and timing. We thank longtime fans such as yourselves as always for your amazing support and please stay tuned in 2015 for announcements of what’s to come from Rockstar Games. Not to worry, you will be able to transfer your Online characters and progress from any of the four consoles (PS3, PS4, Xbox 360 or Xbox One) to the PC platform. To be clear, if you transfer or have already transferred your progress from PS3 or Xbox 360 to either PS4 or Xbox One, then you will still be able to do another transfer again from PS4 or Xbox One to PC. 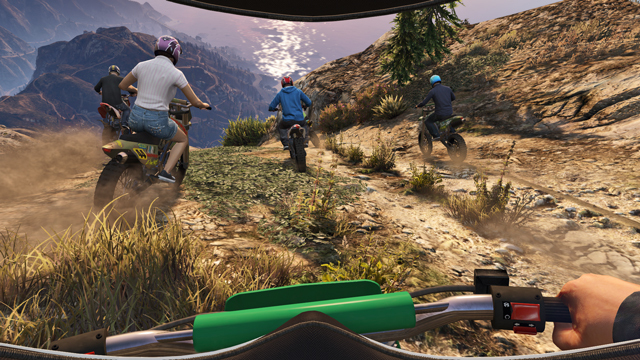 We have updated the detailed transfer information article at Rockstar Support to account for this. 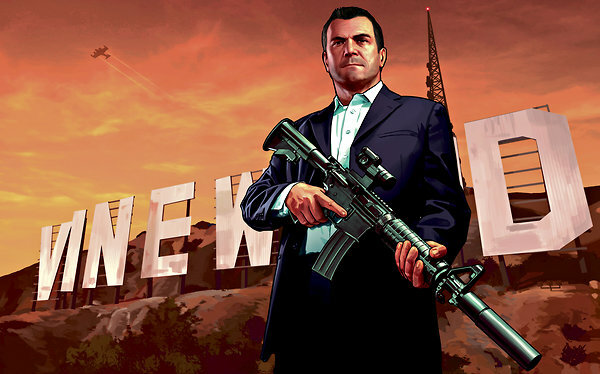 Hi Alli, we’re presently in the final stages of development on the PC version of Grand Theft Auto V and hope to have confirmed official system requirements to share soon here at the Newswire, please stay tuned for that to be announced in the coming week. Thank you and we’re very excited to bring GTAV to the PC gaming community! That's all for now. Keep in touch with Rockstar Games for answers to other questions or hit up the comments below and we may be able to help you. Don't forget to join the discussions in the forums where you can find other answers to questions too! Can you work on so PS3 also Can pla first person??? First person is only for new-gen. They will not be adding it to old-gen. Asked & Answered: First-Person, Heists, More - Rockstar Games answers fan questions about the new first-person mode in new-gen GTAV, GTA Online heists, and more!